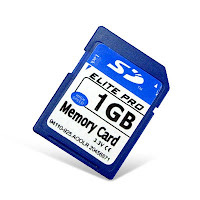 1) First of all we have to make sure that its a 1 GB memory card. This only works on 1GB And it supports only in some of the rare cases of memory cards. 2) Now Backup all your data in that because we have to format the drive. 3) After backing up now open the Skimedi Fix 2GB Capacity application. i will upload a link at the end of post. 5) After selecting the drive press on FIX and then the updating process will be followed up. It will ask your conformation whether you agree to format or not. click on yes. 6) Later it will ask to replug the device. Just replug the memory stick card and put it back. The size of the memory will be increased from 1Gb to 2Gb. you can see the properties before and after the cracking process. 7) After that you can also check the memory size in phone and also you can test the size by copying all the data to it which is around 2Gb. I personally tested this and now i have converted my 1Gb to 2Gb and using 1.8 space with no problem. 9) You can reopen the Skimedi Fix and select the drive again where it shows us the size as 1912mb which is nothing but 2Gb. 10) Some times we get a parameter error while copying the files which have crossed the 1Gb size so this may not be 100% successful.